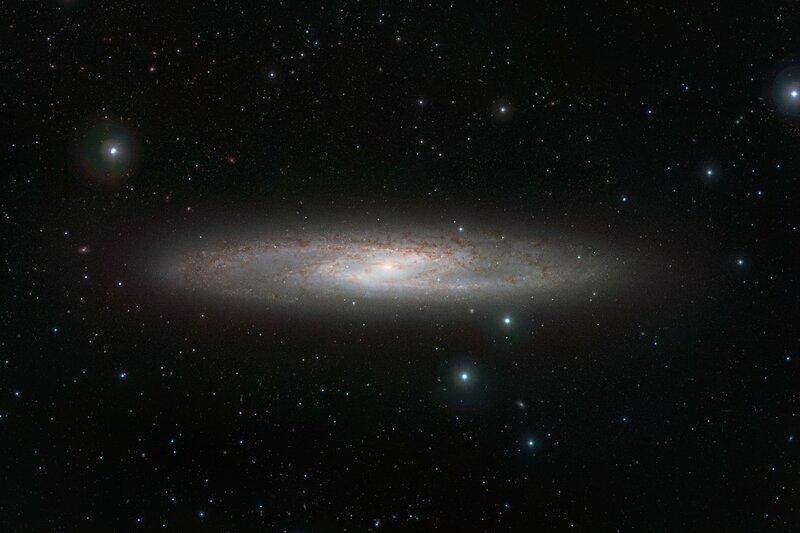 ESO Supernova Exhibition — Do galaxies change their composition? Do galaxies change their composition? When massive stars end their lives in supernova explosions, the heavy elements produced by nuclear fusion reactions in their cores are distributed throughout their host galaxies. 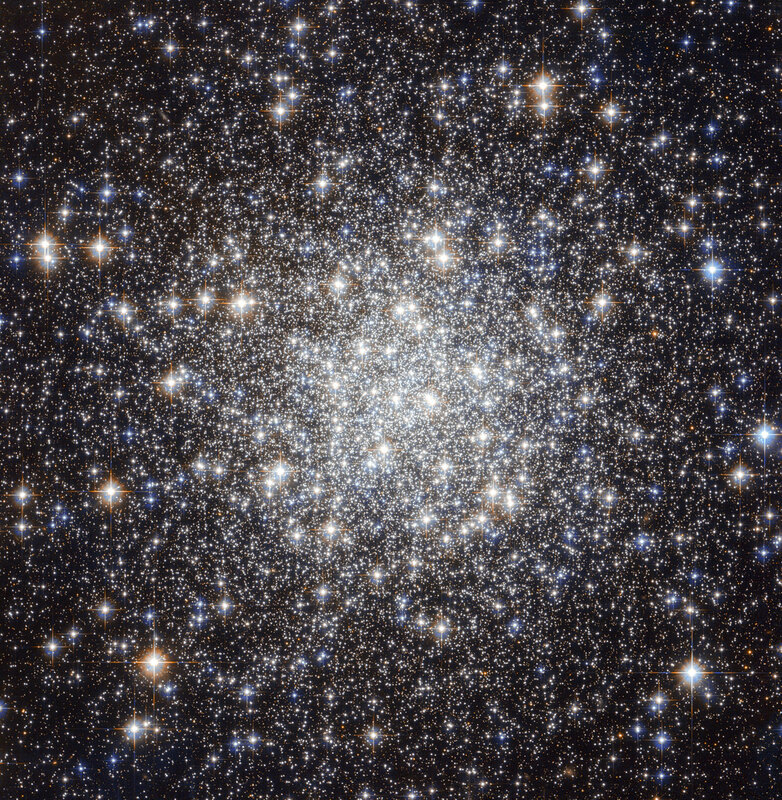 Golden oldies: Globular clusters contain some of the oldest stars in our Milky Way. The stars in Messier 56 are about three times as old as the Sun. 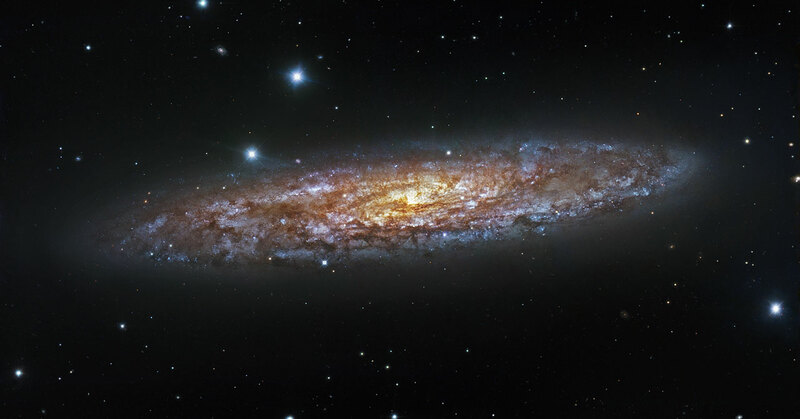 Sculpting stars: Seen almost edge-on, the Sculptor Galaxy is experiencing a burst of star formation that started some 30 million years ago. 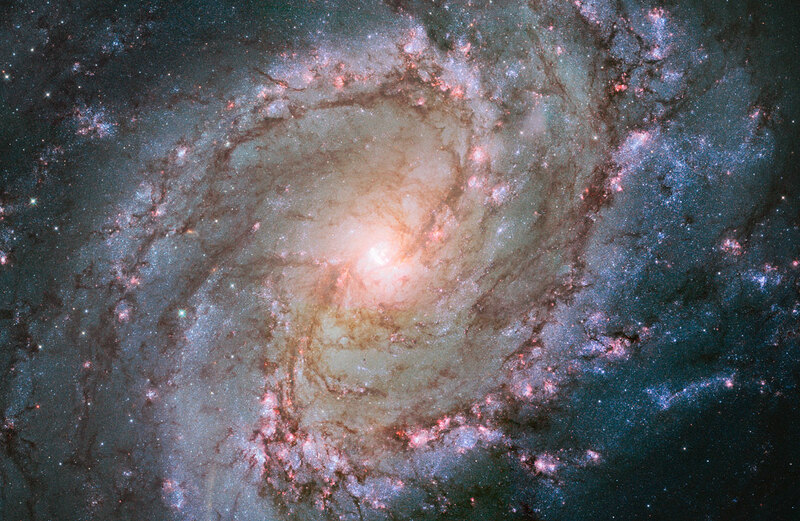 Heavy stuff: Numerous supernova explosions have enriched the interstellar material in the Southern Pinwheel Galaxy (Messier 83) with heavy elements. The very first galaxies were mostly composed of the two lightest elements in nature: hydrogen and helium. Over time, however, the interstellar material in a galaxy becomes more and more enriched with heavier elements. These “metals” (the term astronomers use for everything heavier than helium) are produced by nuclear fusion reactions in stars, and dispersed by stellar winds and supernova explosions. Gradually, the chemical composition of the galaxy changes, and it eventually contains enough building material to form rocky planets – and life. Fading away: A supernova that exploded in late 2001 is still visible in June 2002 (left), but has completely faded by October 2004 (right). The explosion injected more heavy elements into the galaxy NGC 7424. Chemical fingerprints: The brilliant explosion on the left is a gamma- ray burst. 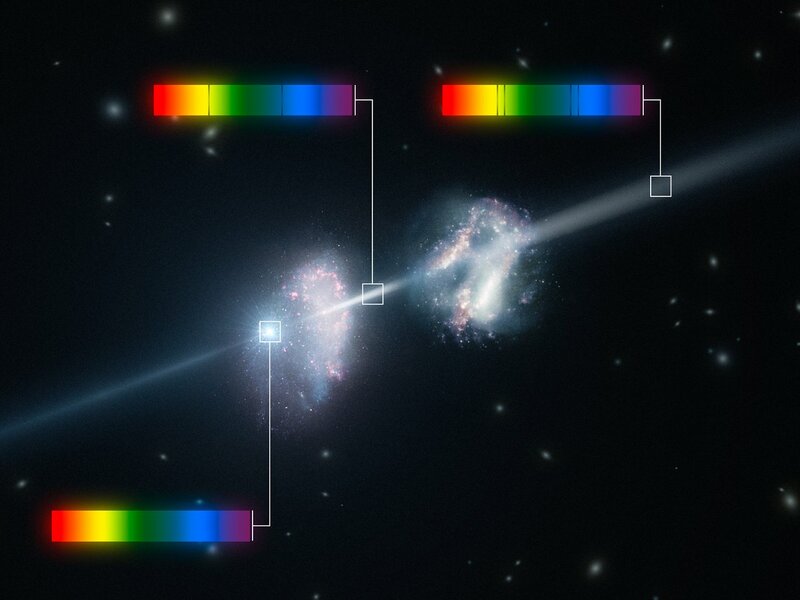 As the light from the burst passes through the two galaxies some colours are absorbed by the cool gas in the galaxies, leaving characteristic dark lines in the spectrum (artist’s impression). Most of the gas in a galaxy is hydrogen and helium. But the older a galaxy gets, the more heavier elements it contains. These heavy elements are needed to create life!